The ADC0808 is a 28 pin DIP IC having data acquisition component digital converter, 8-channel multiplexer and is a monolithic CMOS device with an 8-bit analog-to-microprocessor compatible control logic. Total Unadjusted Error: ±½ LSB and ±1 LSB. Single Supply: 5 VDC . Easy Interface to All Microprocessors. 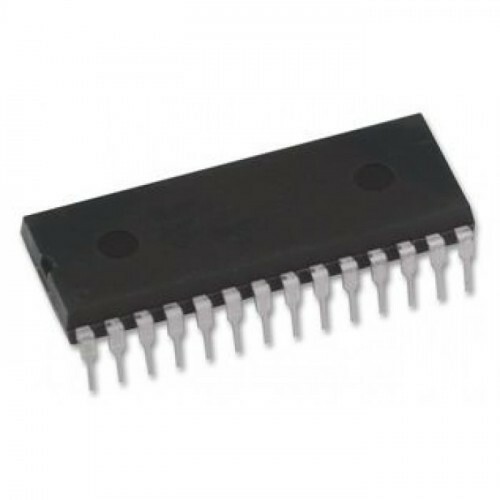 Also Searched as: adc0809 working, adc0809 pin diagram, adc0809 datasheet, adc0809 interfacing with 8051, adc0809 pin description, adc0808, adc0804.